Acuff 2007 ranch home in the Broadmoor Spires with an open floor plan on a flag lot. Large eat in kitchen with upgraded cabinets, granite and stainless appliances. 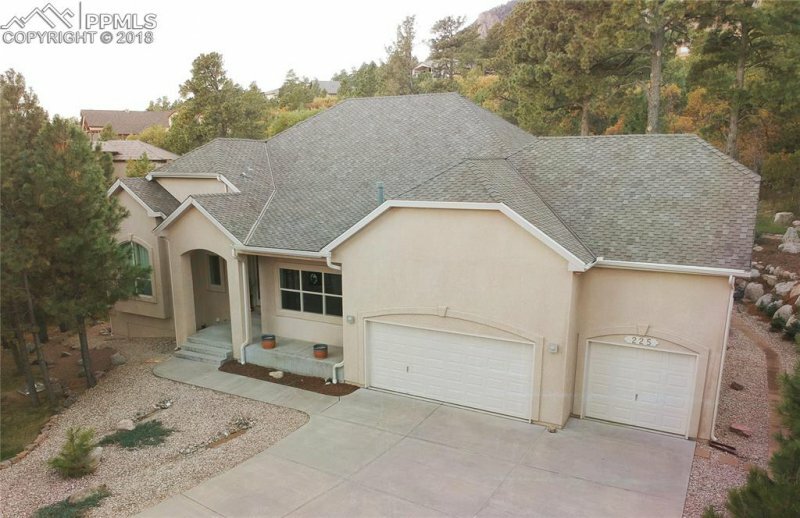 Kitchen and master both walk out to a large covered patio with a private mountain view and exquisite landscaping! Master on main with walk in shower and double sided fireplace. Large finished garden level basement with family room storage room, 3 bedrooms and 2 baths. New wood flooring added in the living and dining rooms. This home is in immaculate condition!